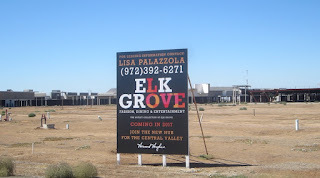 On or about July 25, 2008 construction on the shopping center now known as the Outlet Collection at Elk Grove came to an abrupt halt. 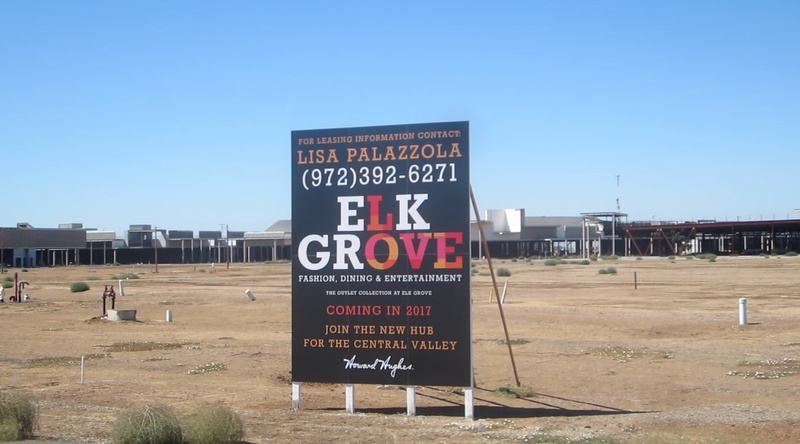 In a video produced to commemorate the eighth year of inactivity at the mall formerly known as the Elk Grove Promenade and the Lent Ranch Mall, we look at some of our archival video recordings along with some of the numerous local TV news reports on what has become known as Elk Grove's Ghost Mall. Not only will you see some rare footage of actual construction activity from over eight years ago, you can watch interviews with three different Elk Grove Mayors, local TV news reports, one of the city's former economic development directors, a recent progress report from the dais, the newest plan hatched for the shopping center, and a hilarious suggestion by an Elk Grove citizen for an alternate use of the forlorn mall. So take about 18 minutes out of your day and take a stroll through the years as we mark the eight anniversary of, to paraphrase Seinfeld, nothing.